Antares, the launch vehicle tasked with lofting the Cygnus spacecraft on missions to the International Space Station (ISS), finally arrived at its Wallops launch pad on Monday. The arrival of the rocket – ahead of a hot fire at the pad – should mark the end of delays related to construction difficulties for the Mid-Atlantic Regional Spaceport (MARS). Orbital and SpaceX won a combined 3.5 billion dollars Commercial Resupply Services (CRS) contract back in 2008, required due to the ISS’ cargo resupply needs in the post-shuttle era. The award from NASA orders eight flights valued at about $1.9 billion from Orbital and 12 flights valued at about $1.6 billion from SpaceX. While SpaceX are just days away from launching their Falcon 9 and Dragon combination on the first of their CRS missions – following the success of their demonstration flights – Antares and Cygnus are yet to leave the ground. 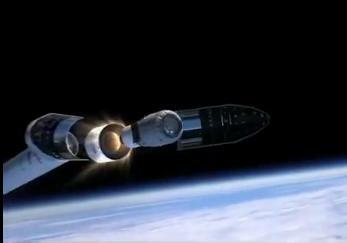 However, the vehicle formerly known as Taurus II is expected to gain a lot of ground, pending a successful test flight. 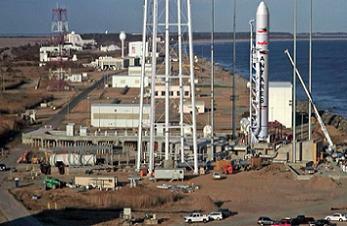 That debut launch – which will be without Cygnus – is still expected before the end of the year, to be followed by Cygnus’ first flight to the ISS to take place early in 2013. 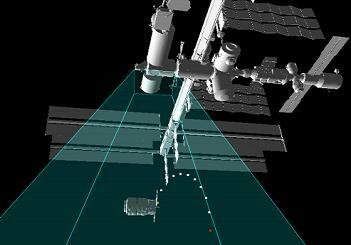 Should these demonstrations prove to be successful, Orbital will begin to satisfy their CRS mission obligations. 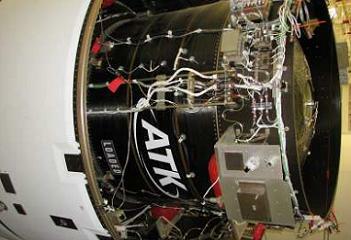 The engines are rebuilt version of Soviet NK-33, originally intended for the massive N-1 launch vehicle. Aerojet later bought the engines which had never been used and added modern electronics and other performance enhancements. Antares will utilize a three digit designation based on the combination of stages utilized. The first digit will always be a one and refer to the kerosene core. The second stage will be labeled 1 for the Castor 30A, 2 for B, and 3 for XL. The last digit refers to the upper stage being utilized, with a 1 being the designation for the HAPS stage and 2 for the Star 48 and 0 for no upper stage. Development of the vehicle has proceeded well. However, the main reason for the delays to Antares’ schedule relates to the MARS facility at NASA’s Wallops base, specifically the completion of construction work on the launch pad’s propellant handling and pressurization systems. 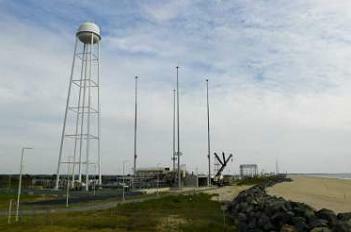 The project to build the facility at Wallops involved a four-year design, development, construction, test and inspection process, overseen by the Virginia Commercial Space Flight Authority (VCSFA). With the official authorization for Orbital to begin on-pad operations, leading up to flight demonstrations of its Antares vehicle, the first rocket took its historic roll to the pad early on Monday. “MARS has completed construction and testing operations on its launch complex at Wallops Island, the first all-new large-scale liquid-fuel launch site to be built in the U.S. in decades,” said David W. Thompson, Orbital’s President and Chief Executive Officer, in a statement to the media on Monday. In the coming weeks, Antares will be put through the major ground test objective of the first-stage hold-down evaluations. 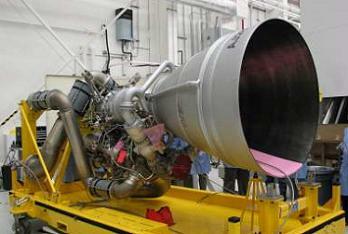 For this test, the vehicle’s AJ-26 engines will be ignited for a 30 second hot fire. “Our pad operations are commencing immediately in preparation for an important series of ground and flight tests of our Antares medium-class launch vehicle over the next few months,” added Mr Thompson. Once Orbital have demonstrated the readiness of the rocket’s first stage and launch pad fueling systems to support the upcoming flights, Antares will begin a flow lasting around one month ahead of its maiden flight. For the debut mission, Antares will carry a Cygnus mass simulator payload that will be heavily instrumented to gather data on the launch environment aboard Antares. In addition, four small “pico satellites” will be deployed from two dispensers that will be integrated with the mass simulator. Should all go to plan, Orbital will be given the green-light by NASA to carry out the final COTS objective of a full-up launch with a Cygnus spacecraft to the ISS – similar to that conducted by SpaceX under the call sign of C2+. A successful mission should pave the way for the third launch of Antares, this time launching Cygnus on its opening CRS mission to the orbital outpost.